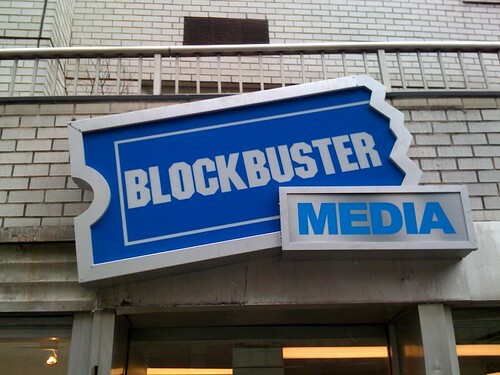 I've been reading a lot of headlines over the past year on what used to be the king of the home video rental business - Blockbuster Video. Some of these have documented the decline of their brick-and-mortar, big box-style retail locations: in September, Blockbuster announced that it would be closing 20% of its stores in the U.S. by the end of 2010. Part of the cause of this decline has been the emergence of brands that offered easier, more-consumer friendly ways for people to rent content. 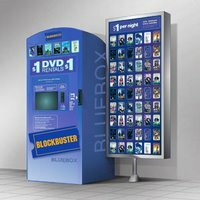 Redbox did away with the big retail store and let consumers rent and return DVDs via a kiosk, and with Netflix, consumers didn't even have to leave their homes - receiving DVDs by mail or streaming them over the Internet. Netflix also introduced a newer business model - the monthly subscription fee - that allowed people to rent to their heart's desire. This model also rid the video rental world of the dreaded late fees. These brands have been killing Blockbuster. Some of the headlines, however, aren't so bleak: they document Blockbuster's attempt to transform the itself from a video rental chain brand into an entertainment brand - providing movies and videogames whenever and however it suits you. By the time they're finished, Blockbuster is hoping to usurp all possible channels. Although many of its big-box retail stores are profitable, some are simply too big for their own good. 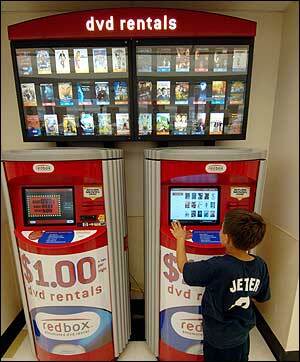 Enter "Blockbuster Express", entertainment kiosks that mimic those from Redbox. They offer the convenience of being ubiquitous (they can be placed in any store or mall that will have them, like a supermarket) to those not willing to wait for DVDs by mail. Blockbuster is also in the process of testing models that offer digital downloads of content onto an SD Memory Card. "Total Access" is a Netflix-inspired service that delivers rentals by mail. The no late-fees, monthly subscription model is similar to Netflix. One advantage, however, is the ability to return the rental in person if one so chooses. The subscription plan also provides the option of picking up and dropping off movies in-store if you don't want to wait for them by mail. "Direct Access" is a recently launched service that allows Blockbuster's retail stores to access the online rental catalogue and mail movies and games to its customers when the title is unavailable at that location. The customer does not have to be a member of the online subscription service, and can choose between mailing the rental back or returning it to the store. 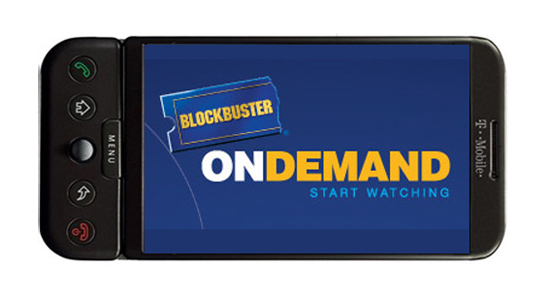 "Blockbuster OnDemand" allows consumers to rent or buy content via online downloads. They can watch the content on their computer, TV, Blu-ray Player, PVR, cell phone or mobile device (the service is currently only available on select devices). Unlike Netflix, this service is a la carte (pay per download), however rented content can be viewed on any compatible device within the 24-hour rental period. They recently announced a Hulu-like offering in which consumers can stream TV content. Revenue would come not from fees but from advertising that would play before or within the content. Not leaving their stores behind, Blockbuster is also transforming its video-rental stores into an entertainment retailer. They are adding electronics like Samsung Blu-ray players and Netbooks (both ready to play Blockbuster OnDemand content) and other items associated with the movie-watching experience, like the Snuggie. As you can see, Blockbuster's strategy is simple: do-it-all, and give its customers the flexibility to get their entertainment content however they like it, even at the same time. Everybody has the latest movies and games - only Blockbuster delivers them to you the way you want it. By providing content via all possible channels and through all possible business models (a la carte, subscription, free with advertisements), and allowing those channels to interact with each other and leverage their advantages, Blockbuster customers will never feel hamstrung by each channel/model's drawbacks. The company's long term goal is to encapsulate the mantra "anywhere, any time, any movie." Some of the above channels may remain experimental while others will be part of Blockbuster's model for the long haul. Either way, it will be interesting to see how its attempt to climb back to the top plays out over the next year. 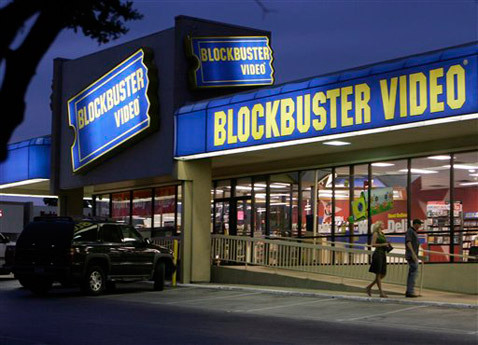 For a great article on the transformation of Blockbuster, click here.